Dr. Tanaka’s research focus is on efficient and reliable real-time decision-making algorithms for autonomous robots and humans. He specializes in stochastic and non-stochastic optimal control, robust control, distributed and networked control, optimization, and game theory. His recent research activities explore the interface between control theory and information theory. 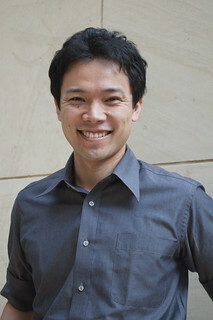 Dr. Tanaka joined the department as an Assistant Professor in 2017. Before moving to UT, he held a postdoctoral researcher position at KTH Royal Institute of Technology, Sweden. From 2012 to 2015, he was a postdoctoral associate at Massachusetts Institute of Technology (MIT), USA. Dr. Tanaka received his M.S. and Ph.D. degrees in Aerospace Engineering from the University of Illinois at Urbana-Champaign (UIUC), USA, in 2009 and 2012, respectively. Prior to his graduate studies, he received his B.S. degree in Aerospace Engineering from the University of Tokyo, Japan. Dr. Tanaka is a recipient of the IEEE Conference on Decision and Control (CDC) best student paper award in 2011.